The gardens and other outdoor surroundings create an inviting atmosphere in Trinita d'Agultu e Vignola. Renowned for its sailing, cheese shops and bars, this city welcomes all visitors. Many rental homes come with outdoor spaces, separate dining areas and full kitchens, perfect if you want to enjoy some home-cooked meals. Fly into Olbia (OLB-Costa Smeralda), the closest airport, located 30.5 mi (49.2 km) from the city center. If you can't find a flight that's convenient for your trip, you could book a flight to Figari (FSC-Figari - Sud Corse), which is 33.1 mi (53.2 km) away. Where to stay around Trinità d'Agultu e Vignola? Our 2019 accommodation listings offer a large selection of 1,415 holiday lettings near Trinità d'Agultu e Vignola. From 367 Houses to 16 Bungalows, find the best place to stay with your family and friends to discover Trinità d'Agultu e Vignola area. Can I rent Houses in Trinità d'Agultu e Vignola? 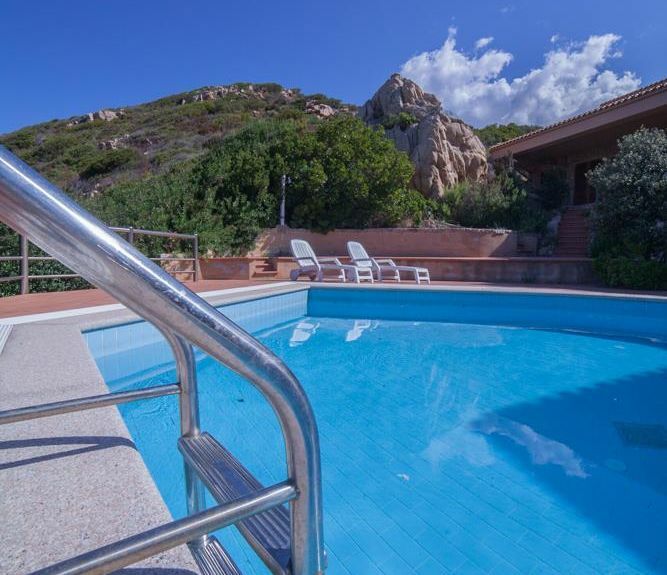 Can I find a holiday accommodation with pool in Trinità d'Agultu e Vignola? Yes, you can select your preferred holiday accommodation with pool among our 538 holiday homes with pool available in Trinità d'Agultu e Vignola. Please use our search bar to access the selection of holiday rentals available.